The calendar says it's spring. The thermometer may not agree but I'm ready to break out the sandals and pastels. Maybe its a few weeks early for open toe shoes but bring on the spring with pinks and light blue hues. 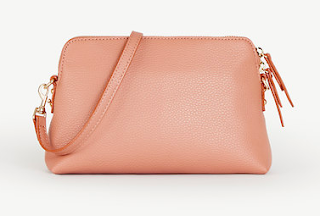 Today we're looking at some perfectly spring blush bags. They feel like May even when you feel like October. 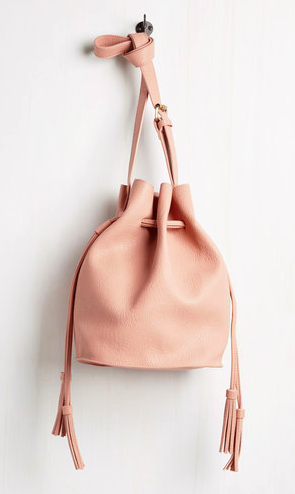 Hello pinch me pink. This bag is easy to wear to work or tie on a short scarf for play. Didn't think Old Navy was this chic, did you? 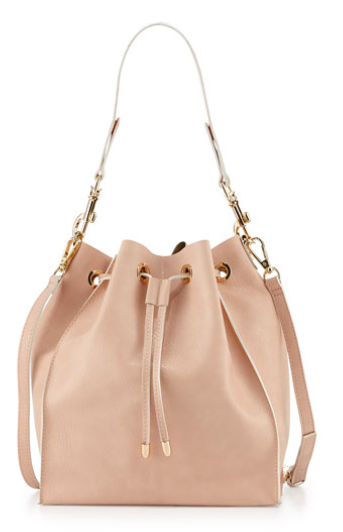 Blush with a pebbly finish, what a simple extra oomph for a ladylike bag. 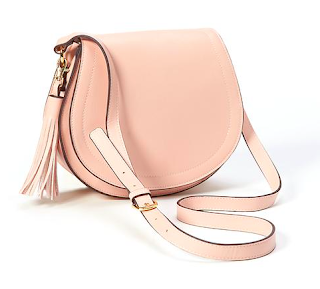 Doublesided tassel and an adjustable shoulder strap. All under $60! Spring means pastel and sunshine and while I can't guarantee the latter, I love blush for spring especially in something as easy as a new bag.